Whether you just started a new podcast or are looking to grow your audience, being in the best podcasting directories will make your show more visible to potential viewers. Ranked in the order of where my shows are seeing the largest audiences, below is a list of the best podcast directories (a.k.a. podcatchers) to submit your RSS feed. iTunes – Still the number one place podcasts are found. 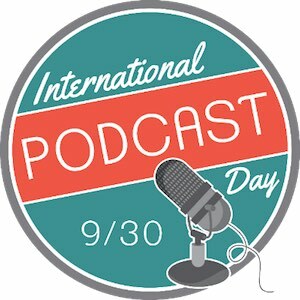 iTunes is the first place you should submit your podcast. Watch this video on how to submit your show to the iTunes store. Stitcher – A mobile podcast app, Stitcher is on the rise with lots of podcasts being consumed by its users. They’re also leading the charge to get podcasts into the car (their app now works natively inside some BMW’s). Google Play Music – While not currently available to podcast listeners, podcast producers can submit their RSS feeds now. With native support for Android devices and hopefully some strong marketing by Google, this directory is likely to become the most popular place to find podcasts behind iTunes. Miro – The open-source podcatcher. Available for users on most major operating systems (Mac, Windows, Linux). TuneIn – A blend of terrestrial radio, music and podcasts, TuneIn Radio provides users with a wealth of audio content. Submitting here will also make your podcast available on the Amazon Echo. Submitting your show to all of these directories will grow your podcast by making it available to more people searching for content they enjoy at the place they are already consuming podcasts. 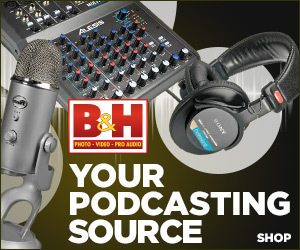 Get more details on how to submit your podcast to the above directories. Here’s a way to see if you have received any iTunes reviews and/or ratings for your podcast in different countries. There are 123 different countries with an iTunes store. And although you can’t purchase from countries you don’t reside in, you can see your ratings and reviews for each podcast you have in the iTunes store. And it’s simple. The easiest way to check your reviews is to sign up at *My Podcast Reviews. You’ll automatically receive an email listing any new reviews you receive from every iTunes store available across the globe! No more manual checking. There are free and premium plans available. How long does it take before a podcast RSS feed is accepted into the itunes store once you have submitted it? When you’ve submitted your podcast to itunes and its not showing up in the itunes catalog, many podcasters start to worry that they did something wrong. So what do you do once you have submitted your RSS feed to itunes but it’s not showing up in the itunes store? The answer is patience. In order to make sure your podcast has been submitted and is in the process of being reviewed, make sure you received the confirmation email that tells you that indeed your podcast RSS feed has been submitted to itunes. You should receive this email shortly after you submit your valid podcast feed. Wait times for getting your podcast approved can be as long as 3 weeks or as quick as 30 minutes. Once your podcast has been reviewed by someone at apple (yes someone actually looks and/or listens to your podcast) you will receive an email telling you that your podcast has been accepted and the same email will contain very important information about your show such as links that you can use to find your show on the web and on itunes. Make sure you save this email and archive it somewhere you will remember and access easily because almost certainly you will be looking for it again to use the important information contain within the email about your show. 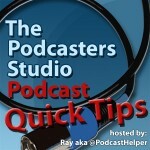 On this episode I introduce you to a new resource on ThePodcastersStudio.com, the newly redone blog which will be used to share emails that I receive regarding podcasting questions. Now everyone will benefit from the information I exchange with those people who take the time to write into the show. I also introduce you to and encourage you to get your podcast feed into the Blackberry Podcast Store. This is another great place to feature your show and be discovered by a whole new group of people who might not of known you were producing great content. The 2010 Blogworld and New Media Expo recently took place and for those of us who were unable to attend there are many great videos from the conference available online. Today I discuss one that I enjoyed most by Scott Stratten aka @unmarketing on twitter. He talks about the necessity to stop getting in the way of people consuming your content. Check out the talk in the video below and gain a bunch of insights into different ways to think of your blog and/or podcast. ScottStratten from Blogworld on Vimeo. Submitting your show to new podcatchers is the best way to grow your audience fast. Make sure to submit your podcast to all the podcasting directories you can find and don’t forget the thousands of people who are consuming, searching, and using the Blackberry Podcast store. 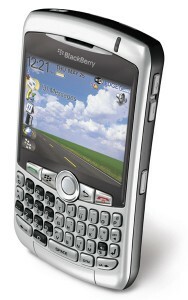 Go to the Blackberry Podcast Store to create an account and submit all your podcasts (audio and video) today. iTunes is one of the most important tools for a podcaster. Regardless of how you feel about Apple, the iTunes software and store is something that every podcaster should be familiar with inside and out. On this episode I cover some of the basics of iTunes such as how to get your show listed in the iTunes directory (submitting your feed) and some of the reasons why this is the first place you want your show to be listed. 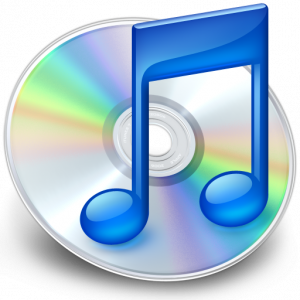 Also discussed are some more advanced topics such as how to have a better shot at getting your show featured within iTunes and how you can use iTunes as a tool for adding ID3 tags and converting file formats.